YG's Girl group BLACKPINK (JISOO, JENNIE, ROSÉ, and LISA) successfully finished their first-ever solo concert in Seoul. They were indeed skillful enough to be YG Entertainment’s ‘Treasures’. BLACKPINK held the ‘BLACKPINK 2018 TOUR -IN YOUR AREA- SEOUL X BC CARD’ in Seoul Olympic Gymnastics Arena on the 10th. BLACKPINK gathered 10 thousand audiences for each day on their concert being held for two days, proving the group’s popularity. The concert that started with ‘DDU-DU DDU-DU’ continued on with ‘FOREVER YOUNG’ and ‘WHISTLE’, making the fans of BLACKPINK go wild. 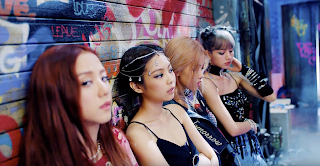 JENNIE stated, “Have you been waiting a long time for today, BLINK (fan club)? I have! Let’s have fun until the end” with an excited facial expression while ROSÉ stated, “It’s an honor to hold our first-ever concert in Seoul with so many people”. JISOO lifted up the spirits by stating, “We’re holding our first Seoul concert in 2 years since we made debut. Let’s party without leaving any regrets”. LISA who appeared on MBC’s ‘Real Men 300’ introduced herself with a salute and stated, “I’m so excited and nervous that so many of you BLINKs visited our concert”. She added, “We’ve prepared hard to give you a pleasant experience”, asking for the audiences’ support. It was true that they ‘prepared hard’. Although they did not have many songs since they have a few albums and it’s only their 3rd year since the group’s debut in 2016, but their talents and skills overflowed. The group presented stage dominance and composure as the senior groups of YG Entertainment did, including BIGBANG and 2NE1. Their beauties that resemble pretty dolls surprised the fans, while their stage performance skills were enough to choose BLACKPINK as the best among all current girl groups. BLACKPINK was different from other idol groups who fill in their concert with recorded songs, rather than performing live. Like the senior artists of YG Entertainment, BLACKPINK focused on performing live for the audiences. Regardless of skills and talent, BLACKPINK followed the proper formula of ‘concert=live’. It was enough to evaluate that they had different ‘class’ compared to other idols who only perform to show off in concerts. Meanwhile, JENNIE performed her first solo debut track, ‘SOLO’, through the concert. The song is expected to be released on the 12th, and JENNIE performed it for the fans in advance. The song was produced by TEDDY, who worked on all songs released by BLACKPINK since debut. The song was also composed by TEDDY and 24. The melody was sweet, while JENNIE’s charisma on stage was fantastic. In addition, JISOO performed ‘Clarity’, ROSÉ covered ‘Let It Be’ and ‘Look at me only’, while LISA presented a dance performance for their individual solo performances. BIGBANG’s SEUNGRI from YG Entertainment appeared as a guest to help out BLACKPINK’s concert. 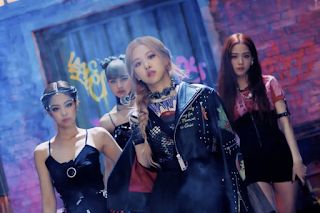 After presenting the remix version of ‘WHISTLE’ as an encore track, the group then performed ‘DDU-DU DDU-DU’ again. BLACKPINK performed the remix version of ‘STAY’ in the early stage of the concert and performed the original version as an encore.